An 18-year old catechist and his 15-year old cousin died in a bomb explosion in the southern Philippine town of Isulan in Sultan Kudarat province on Sept. 2. Catechist Jun Mark Luda and Marialyn Luda, were killed and at least 14 others were reported injured in the blast at an internet cafe in the town. The attackers, thought to be an extremist group opposed to a peace deal with Manila, came five days after another bomb explosion killed three people and injured 36 others in the same town. Army spokesman, Captain Arvin Encinas, said the bomb exploded at about 7a.m. local time. Schools were closed Sept. 3 to allow police and the military to focus their efforts in looking for the perpetrators. Sister Alice Original of the Oblates of Notre Dame asked for prayers for the victims. 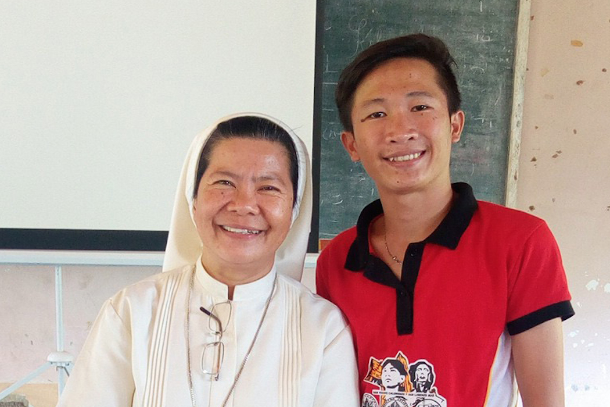 She described Luda as “an active youth catechist” who finished his basic catechism orientation seminar in July. Luda was supposed to teach catechism classes in public schools in town this year during his free time. “He was smart and talented. His jolliness was contagious. We are saddened by his death,” said parishioner Josephine Patosa. Church leaders condemned the bomb attack and urged government and pro-peace deal rebel groups to bring the perpetrators to justice. There is no other group that would dare carry out the bombing and there is no other group that would bomb without any reason,” he said. The military has declared a “lockdown” of the town for the possible apprehension of the bombers. Bong Sarmiento contributed to this report from Cotabato City.